市面上的網頁設計公司質素參差, 有私人公司也有自由工作者。對於需要網頁設計服務的朋友, 尋找一間好的公司是一個極大的挑戰; 既要兼顧質素, 也需要報價在自己的預算之內。當然,如果找一間信譽優越的大公司,質素一定有所保證; 但是, 對於一般中小企來說, 價錢也難以負擔; 其實, 很多中小型的網頁設計公司也幹得不錯, 價錢也很相宜, 問題是你懂得怎麼找他們嗎? 專業的SEO服務是很昂貴的, 但是基本的SEO還是可以要求的, 就是寫網頁時手法好一點便可以了, 而Google 的人流統計器是免費的, 叫網頁設計公司順便安裝吧! Welcome to Sillycube Blog. This is the official blog of <a title=”Silly Cube Technology Ltd.” href=”http://www.sillycube.com” target=”_blank”>Silly Cube Technology Ltd</a>. Here you can check out the latest products / services provided by us. flash project, Web Application and Website Design and Development. 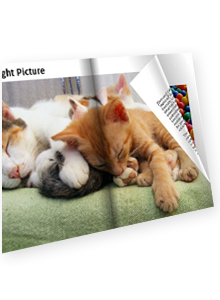 Our recent product includes a 3D ecard system, a 3D photo album. <excerpt:encoded><! [CDATA[Welcome to Sillycube Blog. This is the official blog of Silly Cube Technology Ltd.